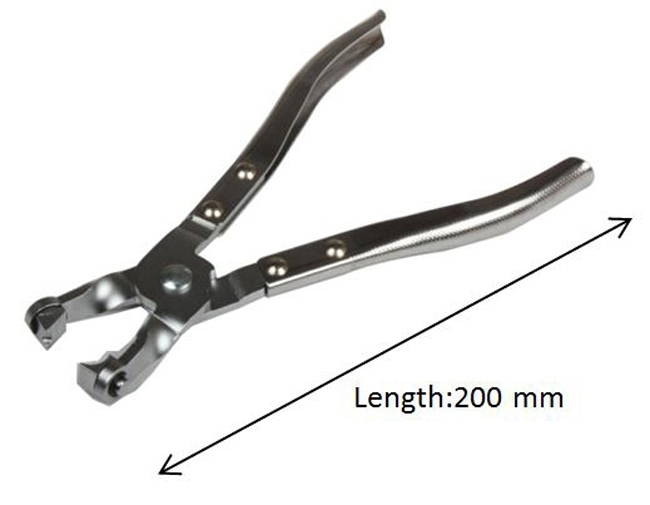 Hose Clamp Pliers for Audi, Citroën, Fiat, Mercedes, Opel Vauxhall, Peugeot, Renault, SMART, VW, etc. 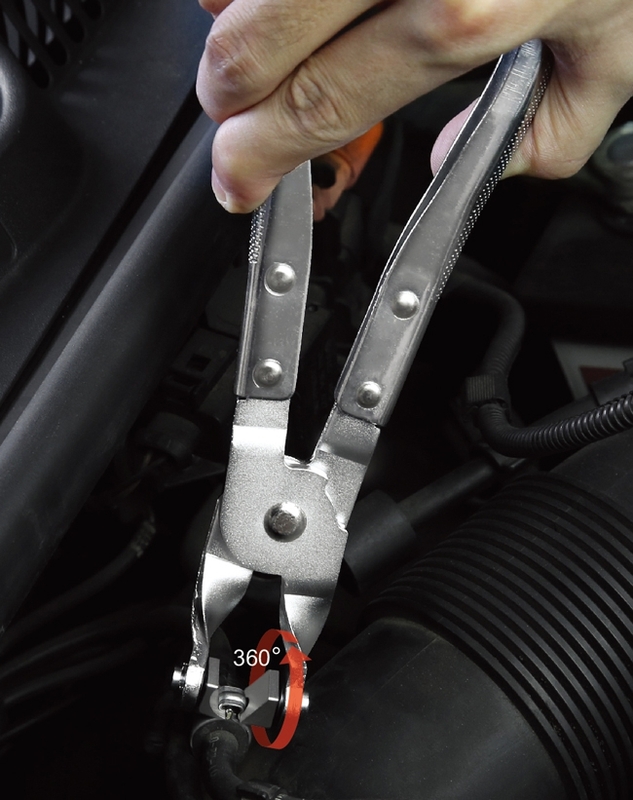 • Open and close easily by turning the pliers by 180°. • For clamping multi-use CLIC-type hose clamps. • Swivel jaws - for use in areas with restricted access. • Suitable for : Audi, Citroën, Fiat, Mercedes, Opel /Vauxhall, Peugeot, Renault, SMART, VW, etc.